"'No Job for a Woman' captures the essence of what it was like for not only a woman, but any war correspondent having the task of writing about the horrors of battle." "Highly Recommended...an excellent addition to courses on women in the workforce and a great way to spark discussions of how women’s roles in society were changed by WWII." 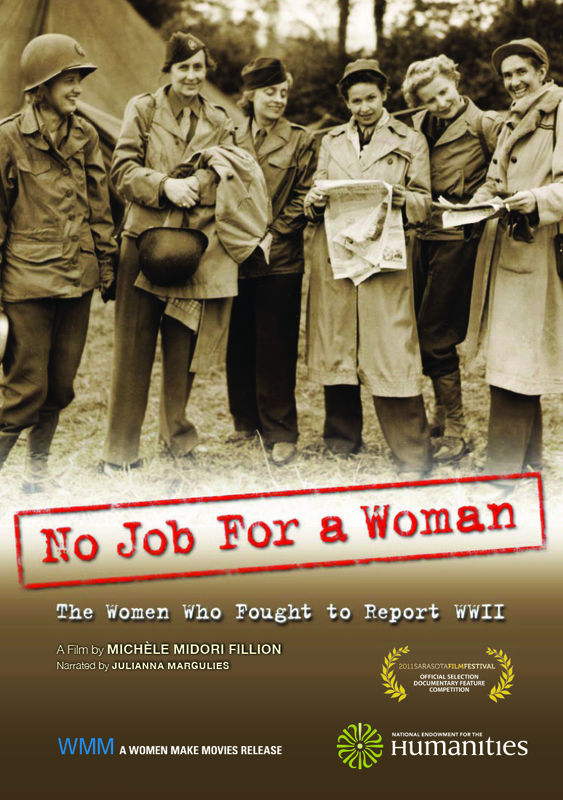 "No Job For a Woman" is Michèle Midori Fillion’s first full-length documentary. Formerly a journalist with the Canadian Broadcasting Corporation (CBC), she has produced a variety of short documentaries for radio and television, with a special commitment to reports that focus on women. Under a journalism fellowship provided by the Aga Khan Foundation Canada (AKFC), Fillion lived and worked in India, producing documentaries on the rural development work of organizations funded by AKFC. Fillion’s radio career includes co-hosting a CBC morning current affairs program, for which she produced in-depth reports on current events, co-hosting a Toronto-based arts interview program, and general-assignment radio reporting. As well, Fillion’s written work includes reports for newspapers, essays for cultural and academic journals, as well as plays for theater and film. She co-wrote a play, now a screenplay Blood Sport, for the Toronto theatre festival Buddies in Bad Times. SOME REAL HEAT explores the small and relatively new world of female firefighters in San Francisco and their upward climb to gain access to a male-dominated field. Armed with axes, chainsaws, muscle, heart and determination, six daring women demonstrate how they single-handedly turn gender roles upside down by putting their lives on the line everyday in one of the riskiest jobs around. As they passionately talk about the tools of the trade, overcoming their fears and helping others, they reveal the fascinating history of women fire fighters and the gender bias that barred them from officially entering the U.S. Fire Department until 1974. They also explain the important role women paramedics play in fire departments and the surprising number of medical emergencies that they attend to on a weekly basis – a number that far outweighs actually putting out fires. Uncovering the myth and reality of this dangerous profession, this inspiring piece intimately delves into the strength and character that distinguishes these women as true modern-day heroes.